How Best Do I Clean My Registry? Helen Powell wants some advice on the safest way to use a Registry cleaner. Has a surgeon ever told you that, although they're an expert and will do the best they can, the operation still has some inherent risks? Imagine replacing the surgeon with some cheap or free software. There's no truly safe way to clean your Registry, only safer ways. And since this is an inherently dangerous job, the safest option of all to not do it. I know some experts say you should clean your Registry regularly to improve performance. I disagree. Clean your Registry only if Windows has a serious problem and nothing else works. Make sure to use your registry cleaner's built-in backup as well as one of your own. Registry cleaners will do this for you, but for extra protection, do it yourself, first. One way is to create a Restore Point. In XP, select Start, All Programs, Accessories, System Tools, System Restore. Select Create a restore point, click Next and follow the wizard. In Vista, click Start, type sysdm.cpl and press ENTER. Click the System Protection tab, then the Create button. If you don't trust System Restore (and I can understand why you wouldn't), you can use the free Emergency Recovery Utility NT (ERUNT). At least you can if you're not using Vista. Although the ERUNT home page promises it works with "Windows NT/2000/2003/XP/Vista," I'm not the only person to discover that it has serious Vista issues. And make sure you use your Registry cleaner's backup feature, as well. Once you've backed up your Registry, open your cleaner, close all of your other programs, and start the process. After scanning your Registry, the cleaner will display a list of entries it thinks you can and should delete. EasyCleaner uses green, yellow, and red light icons (only green ones visible in this example) to help you decide what's safe to delete. advise on judging this list, but I've never actually found any myself. What do I do? I take a deep breath, cross my fingers, and "fix" every problem the cleaner finds. So far, it hasn't made anything worse. And if it does, I have backups. EasyCleaner: You can download ToniArts' free cleaner in installable and portable versions. The Registry cleaner (one small part of this useful tool) lacks a real backup, but it can undo your changes as well as save a list of what it's about to delete. And if it finds an invalid entry that might be dangerous to delete, it warns you with a yellow or red light icon (green, of course, means safe). 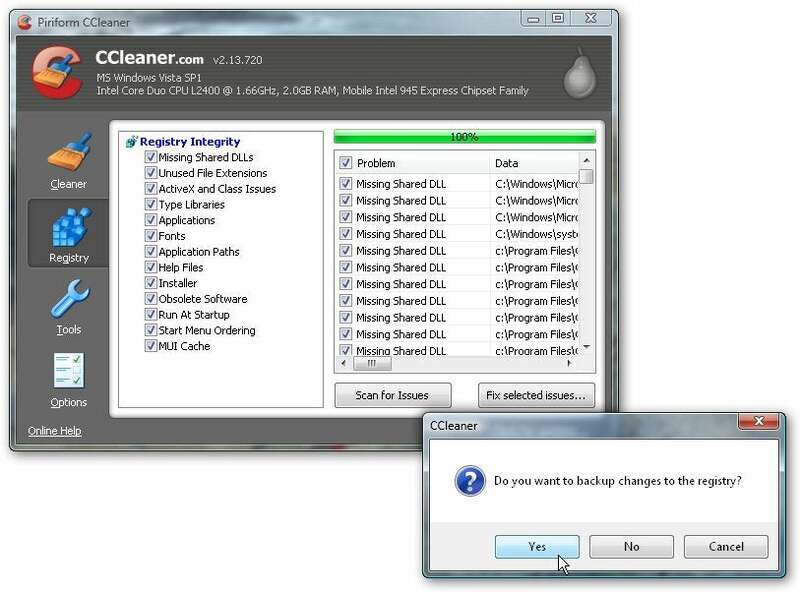 CCCleaner: Another free one that does more than just clean the Registry. More conservative than EasyCleaner, CC tends to find less and risk less, and backs up its changes into an easy-to-restore .reg file. 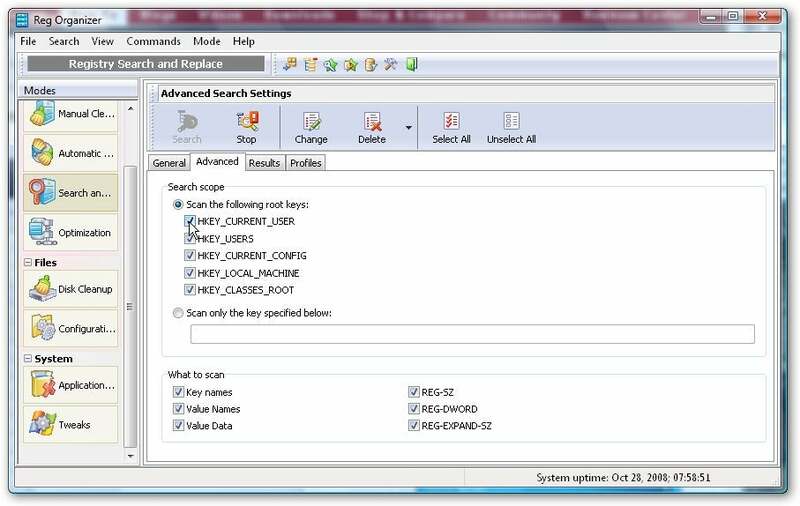 Reg Organizer's search tool is one of the many features that make this the best registry repair tool I've yet found. Registry tool costs $40, but it handles the Registry like nothing else. 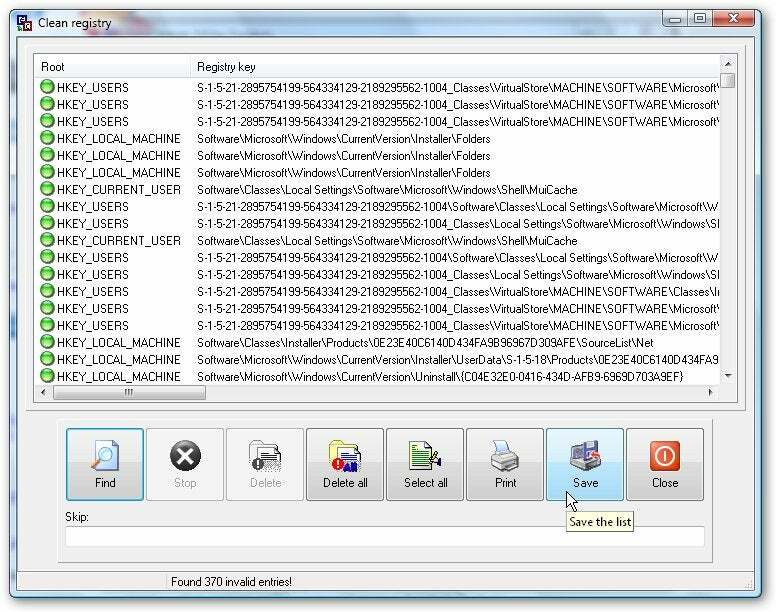 It has automated and manual cleaners, automatic backups, a Registry editor that puts Windows' Regedit to shame, and even a Registry search tool that can help you delete or change every entry (or a selection of the entries) containing a particular word. For more on the subject, and some opinions that contradict my own, see Steve Bass' How to Clean Your Windows Registry and Speed Up Your PC.